HONG KONG, 2018-Feb-15 — /Travel PR News/ — Travellers from around the world will soon enjoy more convenient access to the tourism and entertainment centre of Macao and the Pearl River Delta beyond, thanks to a new Cathay Pacific codeshare agreement with ferry operator Cotai Water Jet. Effective from 26 February 2018, the partnership will see the airline place its “CX” code on Cotai Water Jet services operating between Hong Kong International Airport (HKIA) and the Taipa Ferry Terminal, the main gateway to Macao’s pulsating Cotai Strip. During the initial launch stage, Cathay Pacific customers in Australia, Canada, New Zealand, Singapore and the United States can book travel to Macao through the airline’s local websites, with tickets now available for sale. Booking eligibility will be extended to other international markets over the months ahead. Cathay Pacific customers travelling to Macao will enjoy check-through baggage and a choice of six daily direct Cotai Water Jet sailings, which depart from the SkyPier at HKIA, ensuring expedient and flexible inter-modal transport connectivity. Cathay Pacific Chief Customer and Commercial Officer Paul Loo said: “We are excited to add Macao to our growing network. It is a vibrant attraction for international travellers to visit when they fly to our home. Our new codeshare partnership with Cotai Water Jet provides our customers with greater choice and more options and is a win-win for these two dynamic cities. 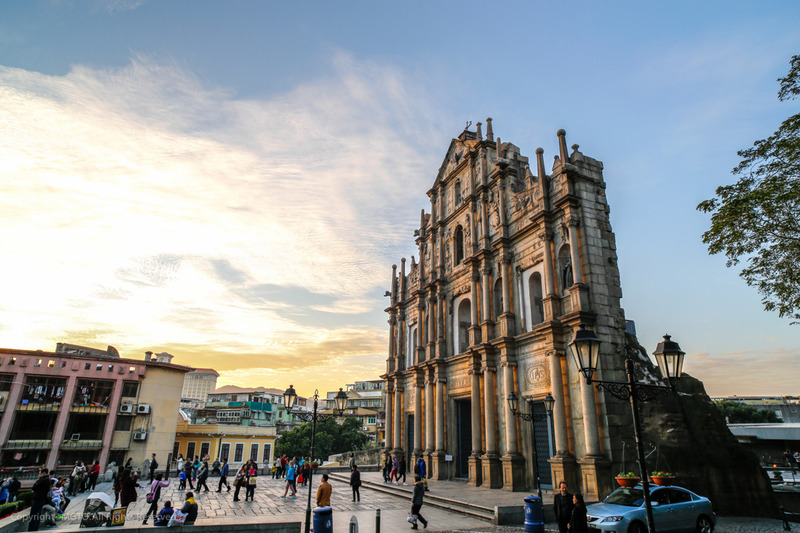 The Director of Macao Government Tourism Office, Maria Helena de Senna Fernandes, said she was highly supportive of the new codeshare agreement. “Macao has grown to become a popular leisure and business tourism destination in the Pearl River Delta region. Apart from a rich cultural heritage of Chinese and Portuguese influences in its genetic makeup, the city has also made a name for itself as a multi-faceted tourism hub, characterised by UNESCO heritage sites, fully integrated luxurious mega resorts with facilities for meetings, conventions, exhibitions and world-class entertainment, as well as spectacular international events all year round, plus, the recent designation as a UNESCO Creative City of Gastronomy. “The codeshare arrangement will certainly enhance accessibility to and from the region for many international markets, thereby further supporting and facilitating the development of Macao into a world centre of tourism and leisure,” she added. Macao is an integral part of the Greater Bay Area, a trade, business and logistics initiative which also includes Hong Kong and cities in Guangdong province. This entry was posted in Airlines, Airports, Transportation, Travel, Travel Management, Travel Services, Travelers and tagged Cathay Pacific, Cotai Water Jet, ferry, Macao, Paul Loo, Taipa Ferry Terminal, the Pearl River Delta. Bookmark the permalink.